Sailing La Vagabonde – Two Aussies – One Boat, Big Adventure! Meet Riley and Elayna from Australia. These two young souls who are traversing the world on a 43 foot sail boat. Buying a boat CHECK. Now to sail it. Riley had about 10 hours of sailing under his belt before he bought the boat, but that’s really nothing if he was going to traverse huge oceans. He took his boat, which he re-named La Vagabonde, and literally taught himself to sail in the Mediterranean! Now that’s determination! He sailed by himself around the coast of Croatia then on to Albania, and eventually ended up in the Greek Islands where he was about to meet the “first mate” of his dreams! Elayna Carausu, 22, from West Australia is a professional scuba diver (dive master) and a talented professional musician. She had been singing professionally for a travel company in Greece when a young strapping sailor with a 43 foot yacht came and literally swept her away. DANG this is fairy tale stuff, right? Elayna agreed to sail around the Greek Islands with Riley. Weeellll she’s been on the La Vagabonde now for about two years as of this writing. I think they kind of like each other…Ya think? The two ended up cruising to Turkey, then to Greece, then to Sicily, Malta, Spain, Gibraltar, Canary Islands and many other places. With a mission to get to the Caribbean, they then crossed the Atlantic ocean, toured the Caribbean islands then went through the Panama Canal and eventually crossed the Pacific which took them about 21 days to the French Polynesian Islands and various Atols. I did a Google map of these islands and there are hundreds of these specs of sandy beaches. They could be out there for a long long time basking in the sun and swimming in the most blue and clear water you’ve ever seen! Oh the horror! How do they Pay for all of this? Of course, the first thing that people think is-These people must be rich! They must have rich parents and are trust fund babies. They won the lottery! Nope! None of the above. They are young, ambitious, adventurous and willing to do what it takes to get it done. At one point, just before the Panama canal crossing, the couple had to leave their boat dry docked in Grenada and head back to Australia to make some money for a few months then return back to continue their adventures. Ya do what ya have to do! They then came back to La Vagabonde and continued on with their journey. But something happened…… a turning point in their voyage where I don’t think they’ll have to return home any time soon. 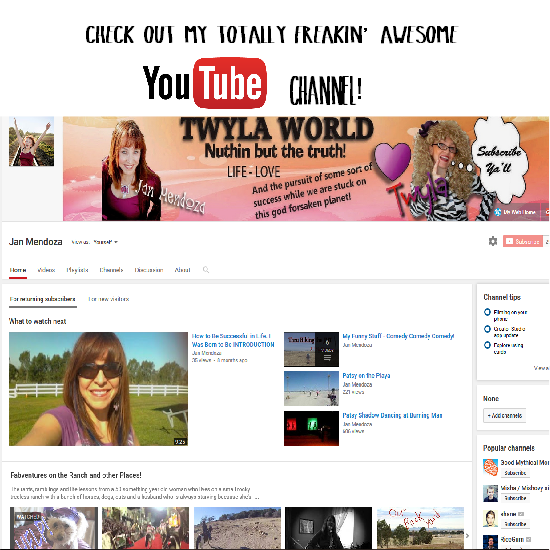 Thanks to Elayna’s natural talents of video shooting and editing, their Youtube channel blew UP! Their following grew to the point that their audience is willing to pay through the a crowd funding platform called Patreon to fund their videos. People can’t get enough of the fun and are willing to pay to help the La Vagabonde crew to keep the show going! Hey, TV has sponsors.. so WHY NOT? You would pay the cable company to watch them on the Travel channel, right? Well, they don’t have to sell out to the big guys! They control their own show! Note to self: look into the Patreon thing for my creatives….. Also, because of their huge following, they got the attention of a Catamaran manufacturer in France who is letting them sale one of their brand new million dollar Catamarans for a year. Oh, and they eat lots and lots of fish they catch themselves as well as the fresh fruits and veggies they find at the local island markets. They know how to live on the cheap! These two are living the life and made it happen all on their own! That’s how living the dream is accomplished. Gettin’ it DONE. Guts, determination, willingness to do with a little less, no excuses, and just DOING IT! Watch them on Youtube as they take us around the world. If you like their vids, throw them a couple of duckets, quid, cash, moola, peso, dollars here! To buy some of their cool swag like shirts, hats, koozies, etc. go here!